We've all seen a cold beer can sweat in the summer heat. Now, a new scientific study reveals the surprising effect that layer of condensation has on the temperature of your beverage. If you're familiar with evaporative cooling, there's a chance you guessed that moisture keeps your can chilled. After all, when people sweat, we experience a cooling effect. Transitioning from a liquid phase to a gaseous one requires the input of energy; as the beads of moisture on our skin evaporate, that energy comes from our bodies in the form of heat, cooling us in the process. So is this what happens to a chilled beverage on a hot, humid day? Nope. In fact, it's the exact opposite. 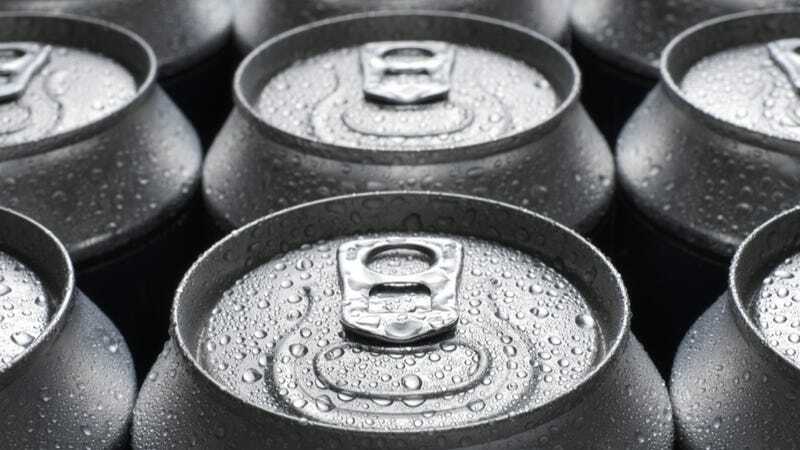 Contrary to the colloquialism, a cold can of beer or soda doesn't actually "sweat." In reality, gaseous water is condensing out of the air and clinging to your beverage in its liquid phase, undergoing a transition in the direction of gas → liquid, rather than liquid → gas. The thermodynamic opposite of evaporative cooling, this process actually expends energy in the form of heat, which is absorbed by your brew. “Probably the most important thing a beer koozie does is not simply insulate the can, but keep condensation from forming on the outside of it,” said Dale Durran, a University of Washington professor of atmospheric sciences. Durran is co-author of a study published in the April issue of Physics Today that shows, in impressive detail, how humidity can have a dramatic effect on the temperature of a chilled beverage. The experiment started in the bathroom of co-author Dargan Frierson, where the pair used a space heater and hot shower to vary temperature and humidity. After confirming Frierson's back-of-the-napkin calculations (the heating effects of condensation are well-known, albeit untested with beer cans, specifically) the pair turned to more rigorous experimental methods. “You can’t write an article for Physics Today where the data has come from a setup on the top of the toilet tank in one of the author’s bathrooms,” said Durran. Their findings are summarized in the figure below. Via Durran and Frierson: The temperature rise (δT) of water in a 12-fluid-oz can depends on relative humidity and ambient temperature. In this plot, each filled circle represents the change in temperature, after five minutes, of water initially near 0 °C for ambient temperatures of 25 °C (blue) and 35 °C (red). Open circles show the portion of the temperature change due to latent heating. So what does condensation on a chilled can have to do with atmospheric sciences? "Condensation as a heat source is just tremendously important," Frierson told NBC News. "It's really like the gasoline that powers hurricanes, thunderstorms and tornadoes." That's an important connection – some climate models predict that rises in atmospheric humidity in the years ahead could lead to an increase in these extreme weather events. "We want people to appreciate how powerful this effect is," said Durran. "A very thin film around the can makes a big difference in the temperature of its contents, and that just makes you appreciate the importance of that same heating effect in our atmosphere." The results of the study are available free of charge at Physics Today.